There is an imaginary black box that exists in the homework process between every teacher and student. It’s a box of mystery, hazy boundaries, inputs and outputs, and shared influence out of which is supposed to come a completed homework assignment. The completed assignment is a victory in the short, regular cycle called education and the only action worth measuring. Named, done, and turned in, this completed assignment is the currency of academic success that buys an education and ultimately graduation, but too often we get lost in the bean counting of other things. Too often we get focused on what goes into the black box and not the product, a completed assignment. This completed assignment is the first phase of assessment that includes quizzes and tests. Measuring the quality of a homework assignment is impossible if the homework assignment is never completed. In a comparison of GPA’s of freshmen from the 2015-2016 school year, students with a GPA of 1.0 or less had 45 missing assignments. Freshmen with a GPA of 4.0 had 0.45 missing assignments, or 1/100th the number of their failing counterparts. When the assignment is missing, we talk to the student, call their parents, create educational programming, include the counselor, and secure tutoring or extra time; however, if these efforts do not generate a completed assignment, they are of little worth, at least in the academic sense. Here is a little bit about what goes into The Black Box. The first ingredient is an idea that is mixed and matured in the sea called curriculum. This sea is awash in state standards, district priorities, building expectations, and teacher preferences. From this sea is drawn a bucket of instruction. The assignment and the accompanying instruction is truly a unique recipe that is carried by the teacher into the classroom each day and ultimately poured into The Black Box. But this is only half of what goes into The Black Box . . . When a typical freshman walks into class, their mind is a different kind of sea altogether. The chemical concoction call puberty is mightily flavored with the immediate, doused with relational currents, awash in expectations, and roundly flavored by the previous nine years of education. Every day is different. And so the student enters the classroom. All this is also poured into The Black Box. When the instructionally wrapped assignment hits the student’s awareness, The Black Box either generates a completed assignment or not. Will the assignment float on top of the sea of the evening’s activities or sink down into the inky darkness of irrelevance only to be suddenly brought to the surface at the verbal cue of the teacher the following day, wet and unfinished? I have spent years measuring the input into this Black Box. On the teacher side, we measure parent contacts, meetings with students, tutoring support, collaboration around content, and the like. On the student side, we measure attendance, grades, previous test scores, and office referrals, among other things. As a Freshman Academy, we have also measured missing assignments but this measure was listed with everything else. Now we are moving toward this single indicator as the fruit of our work. If our end product is academic success and that academic success is strongly correlated with completed assignments, why measure anything else? If we record the parent contact and there is a sense of accomplishment but it doesn’t generate a completed assignment, it is of questionable worth. In business, companies spend money on advertising, employee training, and facility management. If these efforts don’t help to generate revenue, they need to be revisited. Completed assignments are our revenue. Without a revenue stream coming from each student, we need to do something different. And that’s where The Black Box comes in. The flow of what goes into the Black Box must be examined if it is broken. What the student brings to the Box and what the teacher brings to the Box has to be changed if a new result is expected. All our actions to support and encourage the student to complete the missing assignment are evaluated in light of whether that assignment materializes. All actions that don’t produce this single result should be considered immaterial and modified or abandoned. 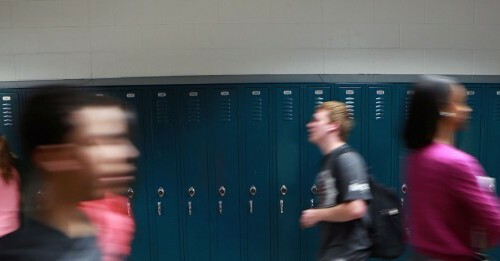 The Black Box also eliminates the single focus on the student. The teacher contributes significantly to a student’s success and thus shares some of the responsibility in whether an assignment comes out of The Black Box. I think it is time to get serious about missing assignments. Serious and totally focused on missing assignments. We need to partner with all those involved in the education of each freshman in order to bring into existence this critical piece of evidence used to evaluate learning. ​Wow! This could be huge. Once we start seeing missing assignments, then we can move straight to trying to diagnose the “why” behind them.